Save money with target workers compensation programs for New Jersey employers. New Jersey is a unique state in that each year the rates for approximately 600 workers comp class codes are determined and set by the New Jersey Compensation and Rating Inspection Bureau. A lot of NJ business owners assume that work comp rates are the same from one carrier to the next since New Jersey rates are mandated by the state. However, New Jersey law does allow private insurance companies to issue policy credits and debits up to 15% on each policy. These credits are not available for employers who purchase workers comp through the New Jersey Workers Compensation Insurance Plans (PLAN). The overall cost of an insurance policy in New Jersey whill often vary up to 30% depending on your industry classification and each carriers' appetite for your type of business. Call us today to see if we've got a more affordable work comp program for your business. All NJ employers, not covered by Federal programs, must have workers’ compensation coverage or be approved for self-insurance if they have one or more employee. 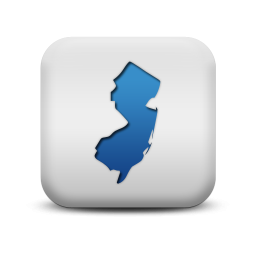 Out-of-state employers may need workers’ compensation coverage if a contract of employment is entered into in NJ or if work is performed in the state. There are currently over 300 pricate insurance carriers doing business in New Jersey, but many carriers are selective as the the industries they are willing to quote. New Jersey is one of the top five most expensive states in the U.S. to buy work comp coverage. Our agency works with many of the top-rated workers compensation insurance carriers in New Jersey. We have dozens of affordable workers comp programs designed to get you the best deal on coverage..
We're on a mission to make it easier to find affordable insurance in New Jersey. Whether your business is located in Asbury, Trenton, or Brick, chances are we've got your lowest cost workers comp program available. We write tons of restaurants, bars, home health care, and contractors in New Jersey. Give one of our workers compensation Specialists a call today at 888-611-7467 to learn about or workers compensation insurance programs in New Jersey.